A foodie’s inspiration: Food, or inner drive to please? What is your inspiration to cook? I am a self-diagnosed, obsessive-compulsive foodie. Anything food-related makes me want to drop everything and investigate. So, when I stumbled across the above linked video spot for the BBC’s new show No Kitchen Required last week on happenstance, I clicked through, because the tagline “What inspires you to cook” intrigued me. In this short promotional, three chefs competing on the show were posed with this compelling question. The first competing chef, Michael Psilakis quoted, “all true chefs are gift-givers by nature” as the bedrock of his understanding for why he loved food, and to cook. The quote inspired me to consider my own creative, culinary nature, and what drove me to cook and enjoy hosting food-related events in general. What I came up with is, Psilakis was right on target. Food has always been a passion of mine. Especially in the last few years, I have grown an insatiable, never exhausted drive to explore new and experimental flavors, colors, textures, and vittles in general that have all of the above and nourishes and heals the body. But the seeds started growing inside me a lot earlier than that. My relationship with food is an interesting one. It had a distinct role in my early childhood. As every parent endures, I went through many phases of likes and dislikes of food. But being monetarily minded as my parents were, it was instilled in me at a very early age that getting up from the table without having a completely cleaned off plate was not even an option. I learned quickly. But my eating habits eventually became based on the pleasure of the food rather than that rule in itself, which I took with me to any table-side meal. Further insight into my curiosity about food is that I was never a girly-girl growing up. Clothes shopping? Only if I had to. Hanging out with mall rats? Pass! But if my mom or dad were going out to the supermarket – I could hardly hold down my excitement. I never missed a trip to Stop & Shop if I could help it. At mealtimes, though, it got to the point that it truly horrified me when I saw any food being wasted. Rather than see my friends just throw half of their hot school lunches out in elementary school, I would scoop their servings into my tray and save the food from being slung into the garbage can at the end of lunch period. Sometimes I got two or three servings from several friends who weren’t going to eat a particular item that day. This practice eventually earned me the moniker of “Hoover” – as in the vacuum. Food tastes so good, and it was such a gift! I couldn’t bear to sit by the wayside and see such beautiful, tasty meals go unappreciated. As I grew older, though, the desire to expose those other than myself to that gift I find so precious became more and more prevalent. I didn’t want to just eat and enjoy food, I wanted to share that feeling! 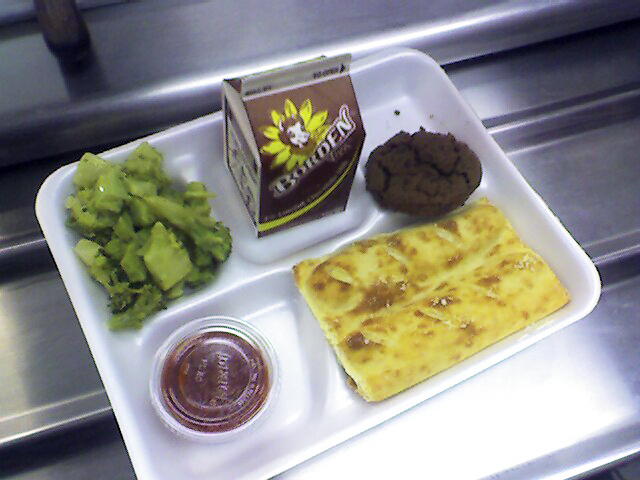 You can’t please everyone – as the school lunch cafeteria showed me – but I was sure going to try. When in a relationship, I had a ready Guinea pig for my experiments. On a larger scale, like my grandmother before me that passed away a year ago last week, I adore to host events. I can easily slave for hours, preparing healthy-minded, organic finger foods (and just recently, wine-tastings). Everything I prepare, I do from scratch as much as possible. It’s time-consuming, but a labor of love. To craft each food is like infusing a part of myself with it. The wonderful times and conversations that happen around a table where good people and good food is within reach, pleasing the senses and putting everyone in a good mood is pretty addictive. In a generation where instant gratification rules, pleasing someone’s taste buds is so satisfying – and as close to love as I can show another human being. Of course, there are always downsides to any activity. The one thing that makes me think twice about going to town in the kitchen – is the dishes. I cannot describe to you the complete abhorrence and disinterest I have for the post-cooking cleanup ritual. I admit to having left pots and pans in the sink for several days before I begrudgingly put aside a few minutes to get them out of my way, muttering the entire time. But it’s not that strong of a deterrent. I still break out the pots and pans on many a whimsical occasion. So what inspires me to cook? Opening up a new world of a kind of ‘self love’ in food, with pleasuring of the senses (taste, as well as touch, smell, and sight), and sharing that collaborative affection for life with another is a true inspiration, indeed. Food is energy. Food is pleasure. Food is life. Next postAre we all just “armchair experts” on nutrition? Interesting piece. It’s amazing you are always as slim as you are! Pet tapeworm? Thanks – and well, in high school, I plumped out a little (too many carbs, no exercise). As a kid, though, when I was eating five people’s lunches ;), I think I was a growing weed. It never hurt me adversely at that age. But “slimness” is generally in my genes, I think. Plus, my bones are so tiny. I don’t think I could handle much more weight LOL 🙂 Thanks for reading, hon!